On Friday, The Wall Street Journal reported that a probe into the Boeing 737 MAX 8’s deadly crash in Ethiopia reached a preliminary conclusion that the plane’s anti-stall system was activated before the jet crashed near Addis Ababa on 10 March. A pilot flying the Ethiopian Airlines Boeing 737 MAX 8 passenger plane, which crashed on 10 March, was heard saying “pitch up, pitch up” just moments before the impact, the Wall Street Journal (WSJ) reports. According to the newspaper, the comment was made as the jet plummeted towards the ground, dropping to an altitude of around 137 metres (450 feet). The jet’s radio reportedly broke down seconds after the speech was captured. This comes after the WSJ reported on Friday that the plane’s anti-stall system, designed to automatically correct the jet’s direction if a sensor detects the aircraft is tilting up, had been activated before the Boeing 737 MAX 8 crash, which killed all 157 people on board. An investigation is underway and no official cause for the crash has been made public yet. Last week, media reported that the US Department of Transportation set up a committee to conduct an independent review of the Federal Aviation Authority (FAA)’s certification of the Boeing 737 MAX 8. 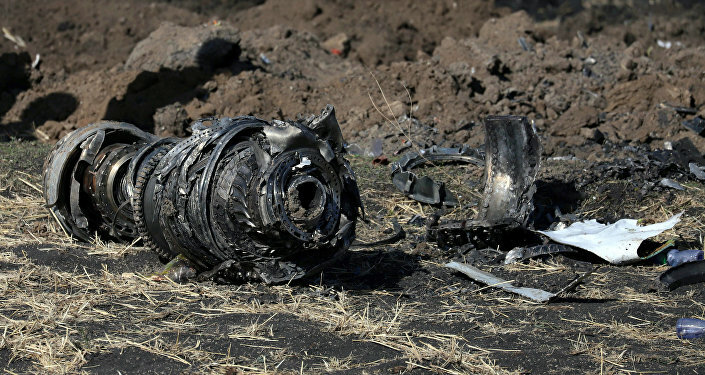 In a separate development, Ethiopian Airlines said in a statement that it strongly refuted the Washington Post’s allegations that its pilots had complained to the FAA about “flawed training programs” and poor safety procedures four years prior to the deadly crash.In the wake of the tragedy, aviation authorities and carriers around the world, including bodies in Australia, Canada, India, New Zealand, France, Germany, South Africa, the EU, China and Russia, either grounded all 737 MAX 8 seriesaircraft or closed off their airspace to them. The tragedy followed a similar deadly crash of a Boeing 737 MAX 8 in Indonesia in late October, in which 189 people were killed.